This was our first real cycling trip and what an amazing experience. I don't cycle a lot at home but I do excercise regularly - daily. Before I was concerned about the cycling each day but it was fine and felt relaxed and certainly enjoyable. I wore a constant smile on my face. The people were lovely and our tour Guide Khen was just amazing. He provided clear information about the cycling each day and events on route. He was a relaxed but extremely competent tour guide. It was a truly memorable trip and I would thoroughly recommend. What an adventure. Be under no illusions, it's tough but the rewards of this amazing country far outweigh any difficulties. 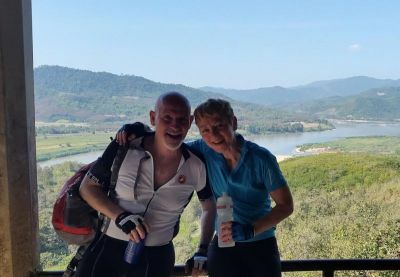 There can be few more impressive roads in the world than the one from Luang Prabang to Kasi and we had a real sense of achievement looking back at the distance we'd travelled. The absence of bus transfers with only leisurely boat rides instead was a massive bonus. We were so sad to have to say goodbye to Ken and his team after all their tireless work and endless enthusiasm. They gave us such an insight into the Laos psyche which, trust me, is something you want to have and keep! The only word I can use to describe this trip is 'epic'. 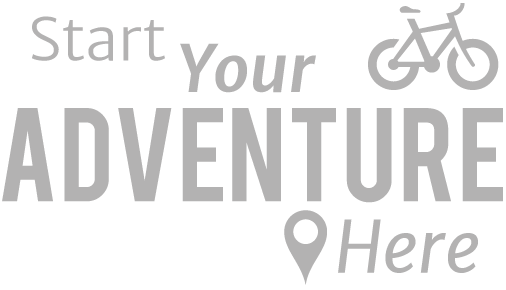 I've been on three cycling trips before with another tour operator which, at the time, I thought were hard. I now realise that they were like a gentle Sunday afternoon pootle through the countryside compared to this one! This trip is intense - but you will get out of it what you are prepared to put in and the rewards and sense of achievement that you will feel at the end of it are fantastic. You will be exhausted (physically and mentally) though, so be prepared for that! You are travelling for a lot of the time in places that are totally off the beaten track (in a country that is quite 'off the beaten track' to start with). Expect conditions to accord with that fact - there is little tourist infrastructure so many hotels/guesthouses are far more basic than you might expect elsewhere in the world. Many roads are in a terrible state of repair, but that makes for epic days in the saddle! The support team is amazing - the most helpful, cheerful, kind, entertaining team that I have had on any trip. Always there with a Beng Beng and a cuppa at each rest stop. Ken is always there with an entertaining (or, at times, terrifying) story, too. Many, many memories from this trip will live with me for a long time. The children literally jumping up and down with excitement, shouting 'Sa bai dee' at us crazy cyclists actually brought me to tears at times. The Buddhist ceremony at the homestay (with mobile phone interruption) was incredibly special (and slightly hilarious). The shower in a shed will live with me for longer than I would perhaps like.. The view from the hotel on the reservoir was probably one of the most beautiful things I have ever seen. Peanut butter and banana sandwiches as a pre-cycling breakfast will be firmly established in my training regime for life. This is not an easy holiday. If you want an easy holiday, pack yourself off to a tourist resort for two weeks. If, on the other hand, you want to see a beautiful country, meet wonderful people and challenge yourself in any number of ways, book this trip. You won't regret it. This was my first redspokes trip and it couldn't have gone better. 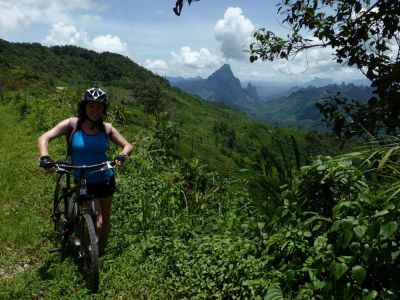 The cycling was both challenging and fun, and I felt like I really got to experience Laos in a special way. 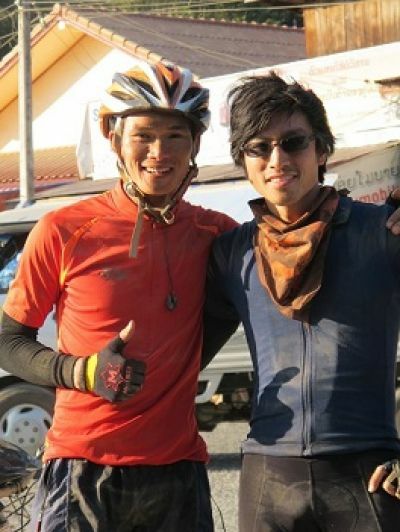 Ken and Choy were great guides - both very friendly and knowledgeable and also incredibly helpful for their bike mechanic knowledge. 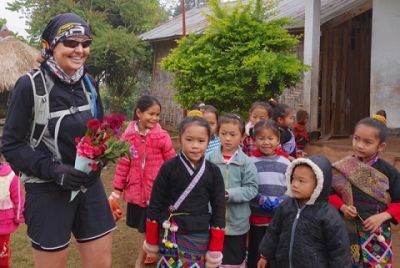 The visits to their homes along the way also added a personal touch to the trip that I haven't experienced before on any group tour. Once again, redspokes has given me indelible travel memories and plenty to write about. On this trip, we saw how redspokes contribute directly to the communities they travel through making the journey through Northern Thailand and Laos much more than a bike tour. The buddhist ceremony, homestay school and COPE visit will touch your heart. Thanks for another great experience. The local Laos team were outstanding and great to be with - Khen, Daolit, May and Khen the driver. They're committed to what they do and obviously enjoy it - Khen had some of his family helping at various points. Ken and Daolit have excellent English and interpersonal skills and good local knowledge; they give useful cultural dimensions which is useful. 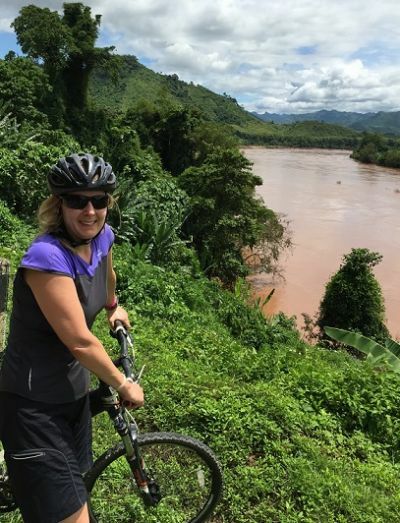 I loved Laos - a special trip - one of my best adventures so far: it combined activity, beautiful scenery, great people, delicious food and cultural insights. I would go back in a heartbeat. I had so much fun with great people and met more wonderful people. It is the one holiday I will never forget, I think it will change my view on life forever. A lady from a small tour group in a minibus said we were mad! No you are! we see everything, you see a few chosen points along the way. A very enjoyable, well organised trip. There was a good mix of experiencing the country, with the comforts that Westerners like when doing demanding exercise. We had a great group, and were fortunate with the weather- everyone cycled the lot. Khen was an outstanding tour leader. His love of his country, Laos, and his commitment to everyone having a good time was faultless. He had a really strong level of English and was 'in tune' with the cultural differences of the different members of the trip. He had tireless energy and a great sense of humour and could crack jokes about himself. He was diligent in the way he carefully described each day's events so we knew what to expect each day. His support team did an excellent job of checking and servicing bikes and serving up a great variety of food at the rest stops. They were always there, especially when we were tired and hungry. All logistics worked perfectly and nobody got ill from any of the food. Overall this was a really great trip. This was really an incredible trip and I'm so glad that despite being a bit unsure if I would be able to cope that I took the plunge and just booked it! I loved the trip and would definitely do it again!
" 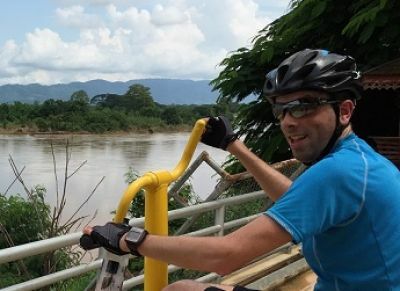 This was just what I hoped for, not just a trip from A to B but a tour into and through the Thailand/Laos area where you felt part of the... "